Looking to storyboard your project? A great storyboard not only excites talent, crew, and clients, but also aligns your production departments behind the vision. 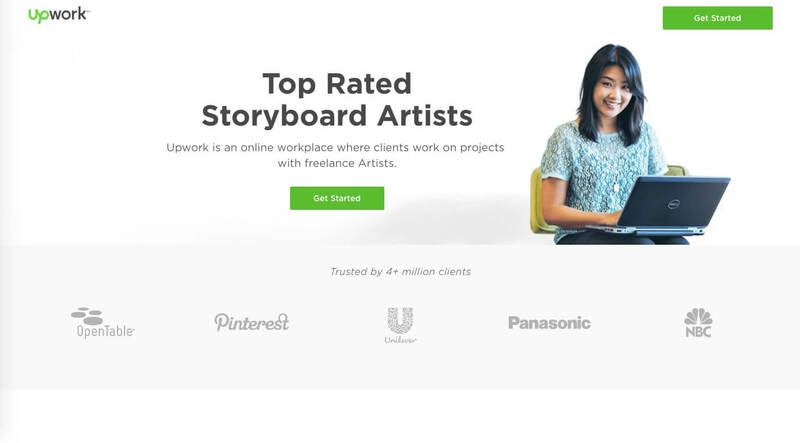 We’ve compiled our top 8 websites to help you find and hire a talented storyboard artist. Storyboarding is an art unto itself which is why so many storyboard artists illustrate outside of the film world. In addition to being an artist, they must have a multitude of other skills and proficiencies. They must be able to translate the visions of the producer, writer, director, DP, production designer… and sometimes the studio, production company or client…into compelling, yet achievable imagery. 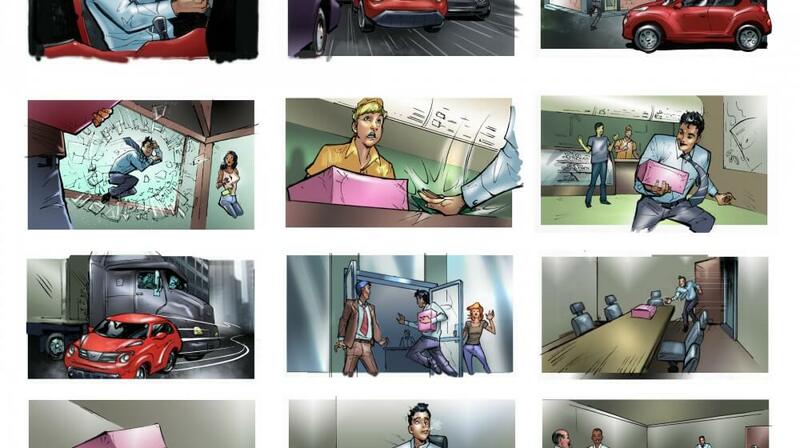 Storyboard courtesy of the LA-based artist Jacob Glaser for a Nissan Juke commercial. A seasoned storyboard artist should also have a strong understanding of production logistics and incorporate various practical and budgetary restrictions in their designs. Alternatively, if you’d like to take a preliminary stab at storyboards yourself, you could always download your own storyboard templates. DOWNLOAD 10+ PREMIUM STORYBOARD TEMPLATES RIGHT HERE. We’ve scoured the web to provide a quick list of the online communities where you can find storyboard artists. 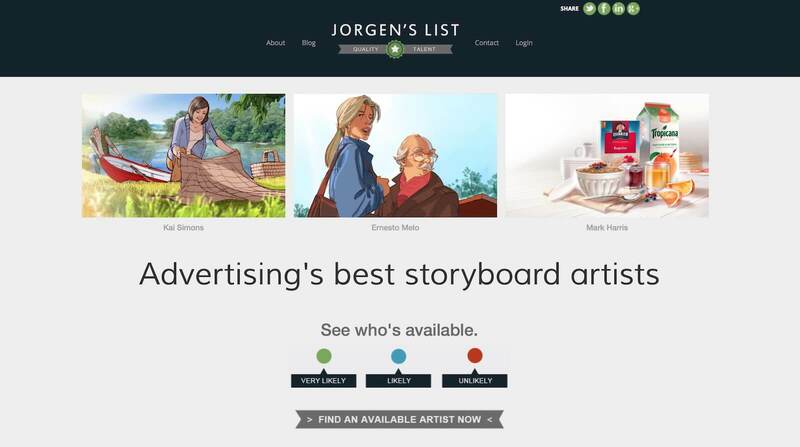 All the artists on Jorgen’s List are qualified by Art Directors so the quality bar is high. There are approximately 100 vetted artists so far. You can browse samples and the availability of each artist before reaching out. 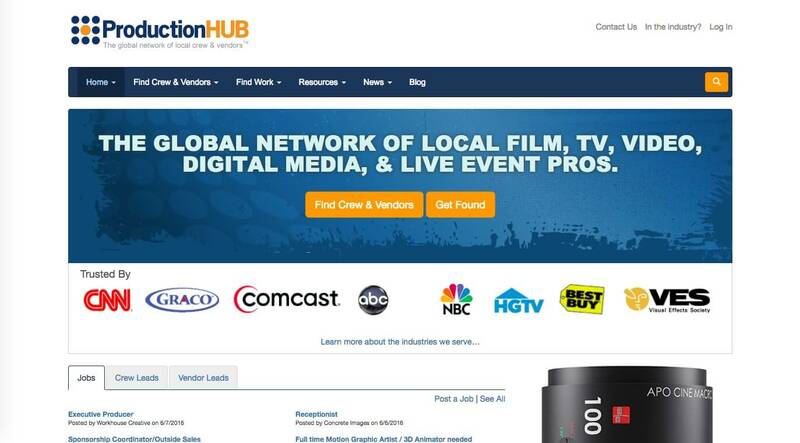 Production Hub is an entertainment specific site that includes about 1000 storyboard artists worldwide. Artist bios include online portfolios. 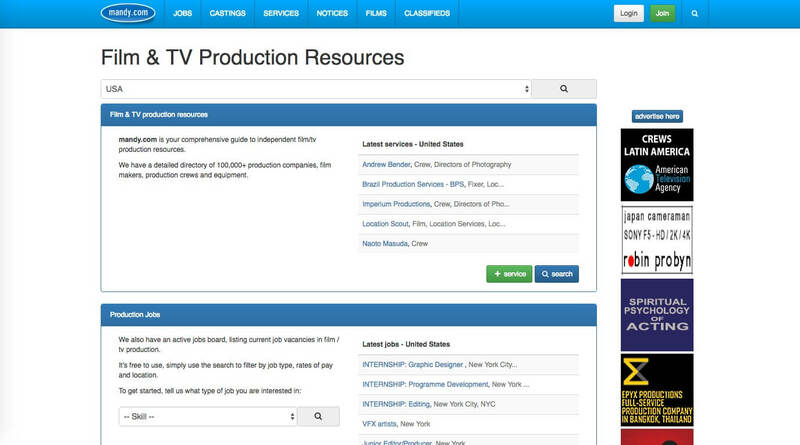 It’s free to post a job on Production Hub. 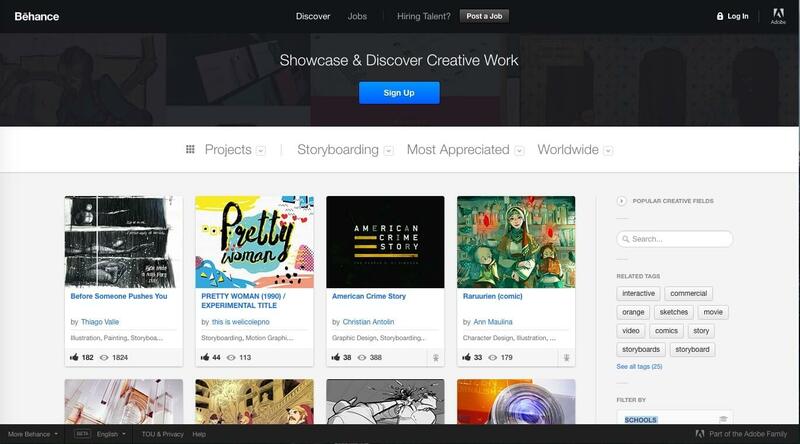 Behance is a social network portfolio site for artists and designers of all specializations. There’s a storyboard search that allows you to filter just storyboard artists. There are a lot of artists here, too many to count. Posting a job starts at $400, but it’s easy enough to message an artist directly if you like their work. Upwork is an affordable solution to post a job. Artists are ranked based on previous projects and all payments are handled through Upwork. People Per Hour has around 500 storyboard artists listed. You must provide a deposit to start hiring. The balance is held in escrow and fees are collected by PPH per transaction. People Per Hour also will help resolve issues if unsatisfied with the work. Mandy is like Craigslist for Entertainment. It may not be pretty, but if you’re looking for storyboard artists that specialize in film, tv, video or animation, this is a good place to post a job. It’s free to post one job a month on Mandy. 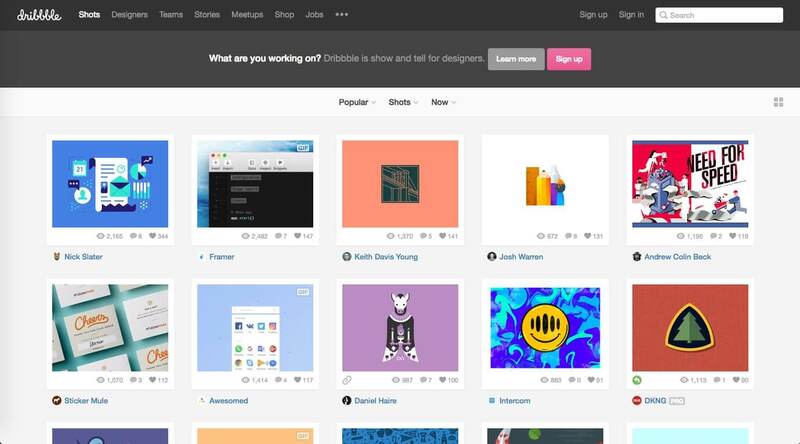 ​​​​Like Behance, Dribbble is a diverse community of designers and artists of all walks. It boasts a nice interface for perusing works. 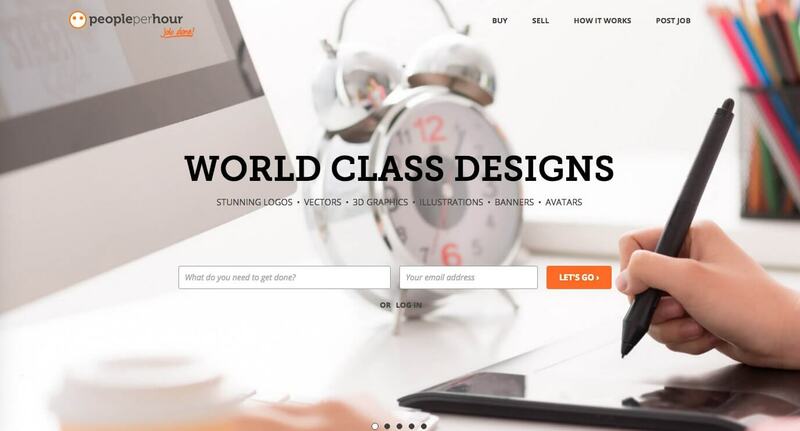 You must have a pro account to contact freelancers. Posting a job is $375+. 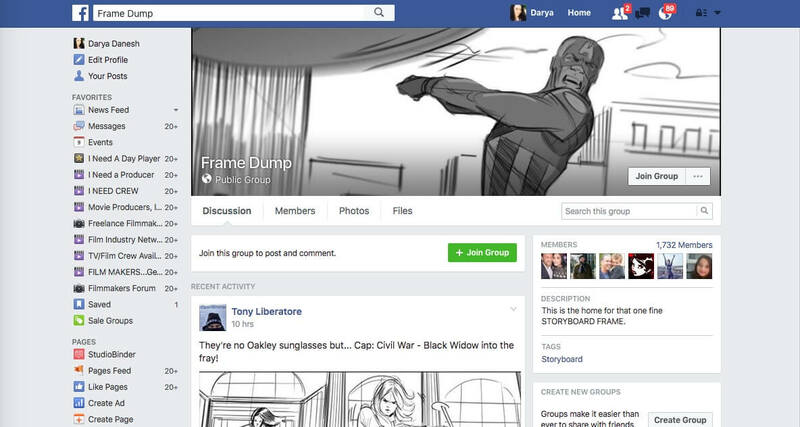 There are countless Facebook Groups dedicated to the topic of storyboarding. While some these groups allow job postings, your job listing could get lost amidst all the image sharing. While it couldn’t hurt to post in a storyboard group like Frame Dump, you’ll also want to post to sites dedicated to finding crew like Concept Artist or Animation, Comic and Storyboarding Job Ads which is focused on connecting artists and jobs. Additionally, you can post jobs on broader production-centric groups on Facebook as well. See our article on crewing up through Facebook groups for our favorite production crew groups. Once you receive your storyboard from an artist, or decide to create your own, make sure to include copies in your final production wrap book. Storyboards and revisions can be easily backed up and shared electronically these days with solutions like Dropbox or Hightail. CREATE YOUR OWN STORYBOARDS WITH THESE FREE STORYBOARD TEMPLATES. Lastly, if you’re looking for a more A-to-Z production management solution, StudioBinder makes it easy to manage your production files online, in addition to managing crew, creating schedules, and sending out call sheets. Plus it’s free to get started. Storyboards are a welcome addition to nearly all projects regardless of scale. We hope you found this article helpful in hiring a storyboard artist. Thinking about taking a stab at creating your own storyboards? See our article on The Best Storyboard Software & Storyboard Templates. We’ll provide all the software options and storyboard templates you’ll need to get started fast. Where do you crew up on artists? Leave your comments or questions below!